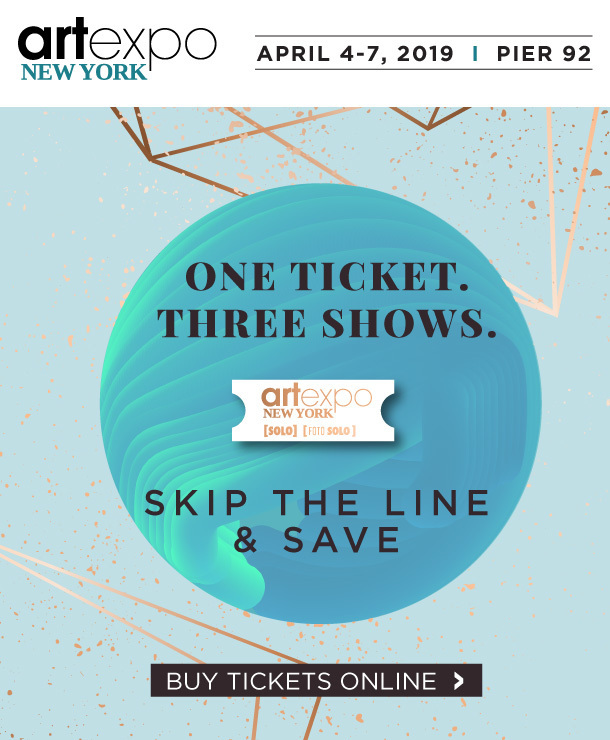 The iconic Artexpo New York is back in the Big Apple this April 4–7 with more than 250 exhibitors from around the world. Best of all, one ticket gets you into the three shows that make up the world’s largest fine art marketplace. From emerging artists in the [SOLO] Pavilion to independent fine art photographers in the [FOTO SOLO] Pavilion to world-renowned artists, galleries, and art publishers in the Artexpo Pavilion, it's going to be an amazing year at Pier 92. Don’t miss this opportunity to see and take home incredible artwork from around the world. Skip the lines at the show and save when you get your tickets online today! And, of course, if you work in the art industry, your admission is always free. Register for your complimentary trade pass today!